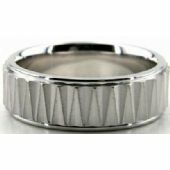 14K Gold 7mm Diamond Cut Wedding Band 689. This beautiful attractive ring was hand designed by our craftsmen who specialize in hand making jewelry in our facilities located in the Diamond District of New York City. 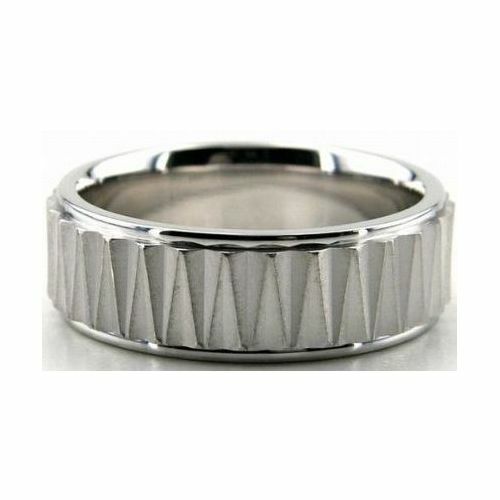 Satin finished V cuts go through the center of this 14K Gold Diamond Cut ring that is 7mm wide. 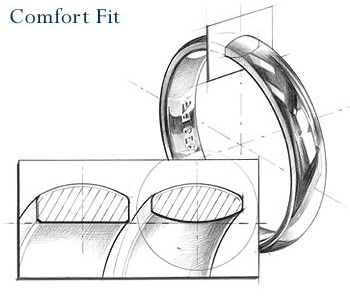 This comfort fit wedding band has shiny polishing on both sides.